It’s been a helluva week- The tenuousness of my research position became manifest yesterday when our department chair told me he’d have to issue a termination letter if I don’t find more funding (to be fair, I knew this was a possibility when I took a research position, but little did I know then how precipitously science funding would decline); a position I was hoping to get elsewhere didn’t pan out; I was at the emergency room one morning with pain so bad I thought my appendix must’ve burst (it hadn’t)- And this is the anniversary of my father’s death. So. 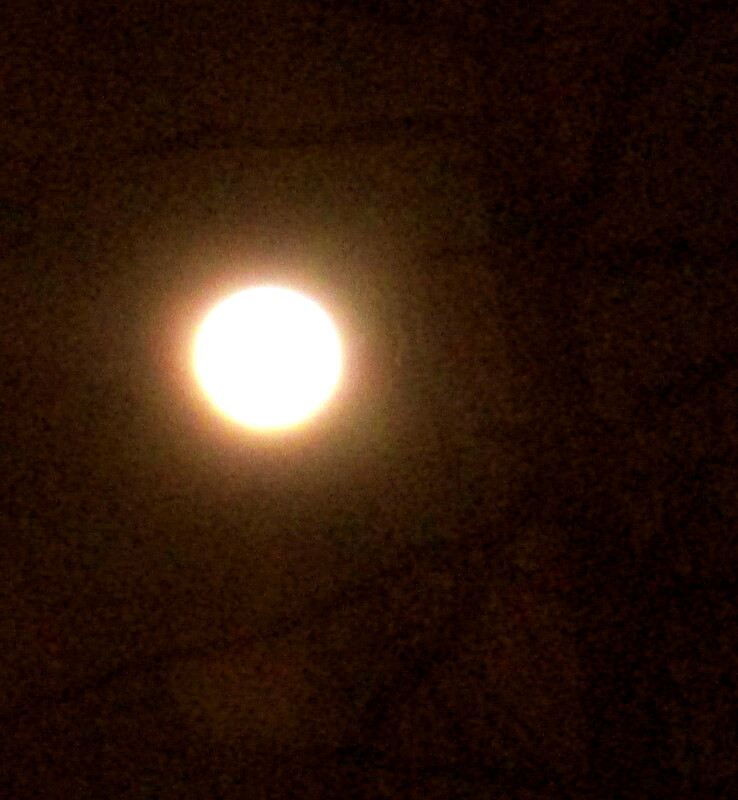 It is nice that the full moon still comes around. And cold or no cold, maybe a walk in the woods this weekend. Time for some hope and R&R. Image | This entry was posted in Miscellaneous musings, Moon. Bookmark the permalink. I love your Luna pictures. I take pictures of her each month, too. She’s so lovely.